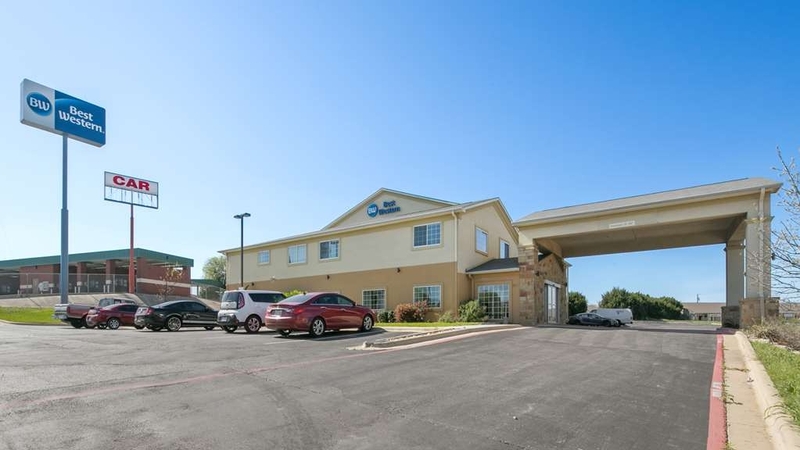 Das Best Western Harker Heights ist ideal in Harker Heights Stadtzentrum zu finden. Erleben Sie ein schöner Aufenthalt in der Nähe von alle Sehenswurdigkeiten. Bestpreisgarantie und exklusive Angebote. Das neue, moderne Best Western® Harker Heights bietet eine ideale Lage und erstklassigen Gästeservice und ist die ideale Wahl für Militärangehörige, Geschäftsreisende und Urlauber. Im Best Western® Harker Heights finden Sie alles, was Sie für einen angenehmen Aufenthalt benötigen – vom kostenlosen warmen Frühstück bis zum kostenfreien High-Speed-Internet. Bei der Suche nach einem Hotel in Harker Heights ist die Lage des Hotels relevant, und wir bieten Gästen eine gute Anbindung an den Highway 190. Die Militärbasis von Fort Hood liegt 10 Minuten entfernt, und wir bieten günstige Zimmerpreise für Armeeangehörige. Ob Sie Ihrem Land dienen, Verwandte auf dem Stützpunkt besuchen oder einen längeren Aufenthalt planen, ein komfortables Hotel mit neuer und modernisierter Ausstattung ist wichtig. Geschäftsreisende, Mitglieder der Streitkräfte, aber auch Bauarbeiter und Urlauber schätzen die erstklassigen Unterkünfte in unserem Hotel in Harker Heights. Unser kostenloses warmes Frühstück sorgt für den perfekten Start in den Tag Zum Angebot gehören heiße Waffeln, Eier, Frühstücksfleisch, eine große Auswahl an Müsli und Cornflakes, Gebäckstücke, frisches Obst, Joghurt und vieles mehr. Unser berühmter reiner Arabica-Kaffee und gekühlte Säfte sind die perfekte Ergänzung zu diesem herzhaften Frühstück. Bei einem Aufenthalt in unserem Hotel werden Sie sich ganz wie zu Hause fühlen. Dank unserer neuen Matratzen mit extragepolsterter Auflage können Sie sicher sein, dass Sie eine angenehme Nachtruhe verbringen werden. Alle Zimmer sind ausgestattet mit kostenlosem High-Speed-Internet, sodass Sie effizient und ohne Probleme arbeiten können. Kabel-/Satellitenfernsehen bietet Kabelsender, HBO® und Sportkanäle. Nutzen Sie die vielfältige Hotelausstattung, mit Swimmingpool (im Freien), Fitnessstudio, Wäschereiservice für Gäste und Tesla-Ladestation für Elektroautos. Nur wenige Schritte entfernt sind ein HEB-Supermarkt und Restaurants, und auch ein Einkaufszentrum ist in wenigen Minuten zu erreichen. Falls es etwas gibt, womit wir Ihren Aufenthalt noch angenehmer gestalten können, fragen Sie einfach. Wir setzen alles daran, Ihre Wünsche zu erfüllen. Die Zufriedenheit unserer Gäste hat für uns oberste Priorität. Buchen Sie jetzt im neuesten Hotel der Stadt! Wir freuen uns auf Ihren Aufenthalt im Best Western® Harker Heights. The staff was very friendly and made sure we had anything we needed. We were there for a wedding, and everything was easy to access. I was pretty impressed on how friendly everyone we met in Harker Heights was. I absolutely would have given this place 5 stars. From the staff to the room to the great breakfast and the wonderful pastries set out for the guests....this facility surpassed my expectations....except for the overwhelming smell of the bargain cleaner, Fabuloso! The smell is quite overwhelming. That is my only complaint. I hope they will consider changing their cleaning agent cause I definitely want to stay again. 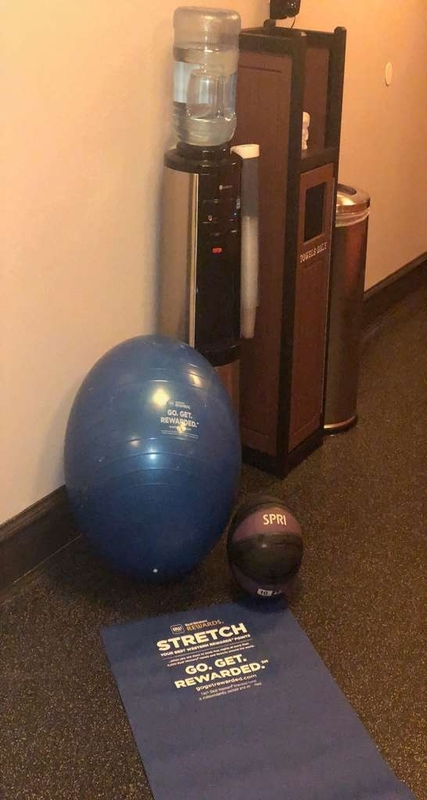 The front desk was not trained in hotel privacy. We were women traveling with small children. Did not ask for ID when asking for a room key In several occasions. And there was an older gentleman who parked himself at the front desk leaning against the counter. He inserted himself in my personal financial business discussion and was not asked to leave when discussing my credit information and room number. I spoke with the manager. She was kind and seemed to want to help with the situation. However when I checked out she made a point to come to the front desk and of course the older gentleman was there. She also made a point in introducing him as the owner of the hotel. As if that makes a difference. I was extremely disappointed. It was a security issue for me and was treated with blatant disregard. "Military Discount & Almost Like Home"
We have stayed at others but Best Western is on top of our list. 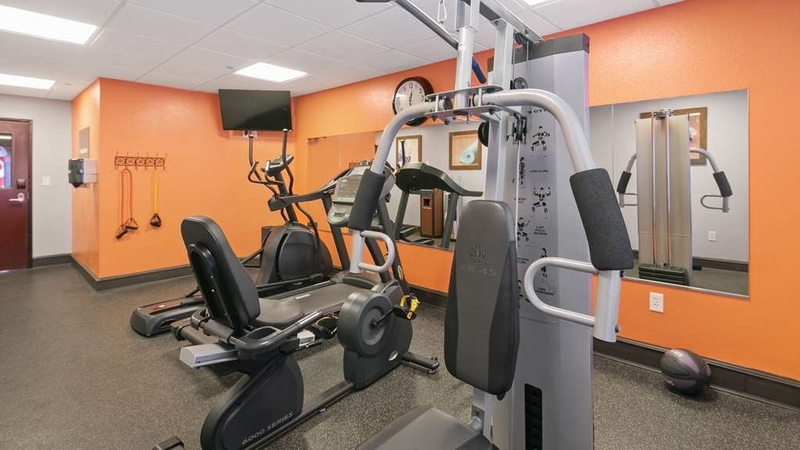 You get many amenities exercise room, continental breakfast, internet, easy in & out to shopping nearby HEB, Walmart, and restaurants. Don't take my word for it come see for yourself and meet your new family. I am in the Killeen area all week for work. At a fair rate, this hotel provides an excellent base for me. The manager Carmen and her team are always friendly, helpful , and welcoming. The hotel is extremely clean, the wi-fi is good, and the breakfast is better than most hotel breakfast fare. The location is a little off the freeway which is a good thing as the Harker Heights/Killeen area is a loud, congested area with loads of traffic. Using the service roads it is easy to get in and out of the the hotel and it is near all kinds of restaurants and retail. Again as a business base or just an overnight stop I can recommend this hotel. Thank you. I've stayed here for over a year and a half on and off. The place was great the employees were awesome. Always made me feel like home. The staff there are super friendly and great. I'd stay there longer if my job sent me back out there. Keep up the great work guys. I would definitely recommend this place to my family and friends . Arrived here after the Marriott in Killeen gave away my room for one night of a week long stay that had been booked a week earlier. The night clerk was ready with my bad news and said she had called around to find another room. I'll fire them up in a later review so on to the BW in Harker Heights! The property was clean and well lit when I found it at 9 p.m. after driving in from DFW. The staff was ready for me and got me checked in right away in a ground floor room. They noted I looked tired and offered water to me they were willing to purchase from the hotel's travel market. I declined but was impressed with their thoughtfulness. I inspected the room and noted that the room was clean and the bathroom was spotless as well. A good quiet nights sleep was followed by the hearty breakfast in the dining area while listening o the news channels. The food selection was plentiful and coffee was spot-on. I seriously considered staying for the remainder of the trip but had co-workers already in the 'other' hotel so I ended up moving. This gem may be 4-5 miles east of 'downtown' Killeen but it more than matches the higher priced options so you've got a choice people. We are a Best Western family for life! Ms.Carmen and her staff will make your stay enjoyable and do their very best to meet your every need. When they smile and ask " how are you today" you can tell and feel they truly mean it. Staff was extremely friendly and helpful. Our stay was not for fun but for a death in our family. Staff were very considerate and helpful to us. They asked every day of our stay if we needed anything or could help in any way. We highly recommend this hotel! My associate and I stayed for 10 days on a business trip. The staff was such a pleasure to see in the mornings and late nights. I must say Carmen Knight is a true professional with outstanding hospitality skills! I can tell she really enjoys making sure the facility is spotless and the guests are happy. BW is lucky to have her! I also want to give a shout out to Kayla. Very nice young lady and always cheerful and helpful no matter what time we would get back from working. I wish we could hire both of them! The morning full breakfast bar was always clean, fresh, and food was great to start our day. The room was also very nice and the housekeepers always had our room spotless every evening when we returned. Most people don't do this; but whenever I see my room well kept, I leave a tip everyday for the housekeeping when they deserve it. I left tips daily with for these folks and a thank you note and to my surprise, received a thank you back on my note. I highly recommend this hotel if your travels bring you to Killeen, it is just 5 minutes away and well worth it. Thanks again Carmen and Kayla! Friendly, easy place to stay. The room was clean,quiet and comfortable. Geat internet service and wonderful breakfast. All staff were friendly and happy. We would be most happy to stay at this location again. We stayed 4 nights at this very accommodating and very friendly Best Western. By the time we left I believe we knew most of the staff. Every time you walked into the hotel a smile greeted you and a kind hello. Our room was a good size and had everything we needed. Nice size refrigerator and great TV. The bathroom was spacious. Lots of counter space for my “stuff!” The Bed was very comfortable and the AC was quite. But it checked my number one request of any hotel the best.....IT WAS VERY CLEAN! Every aspect of the hotel (room, hallways, entry, parking lot, etc) was spotless. I have never seen a free breakfast bar that was kept as clean and fresh as theirs. 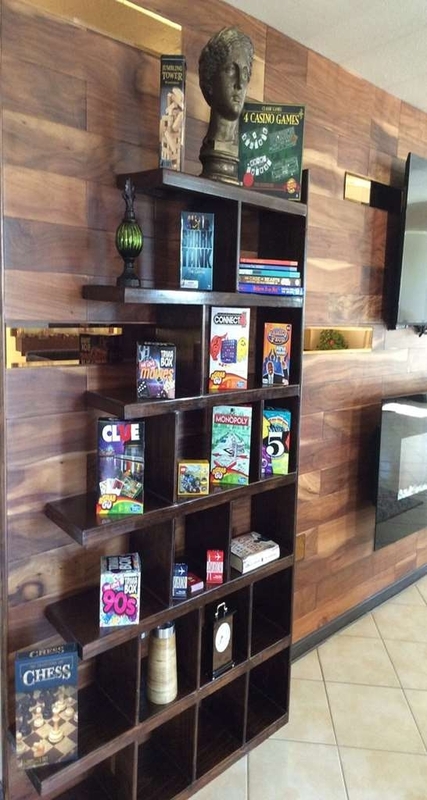 The owners and employees take pride in their hotel and it shows. Thank you. We will return. 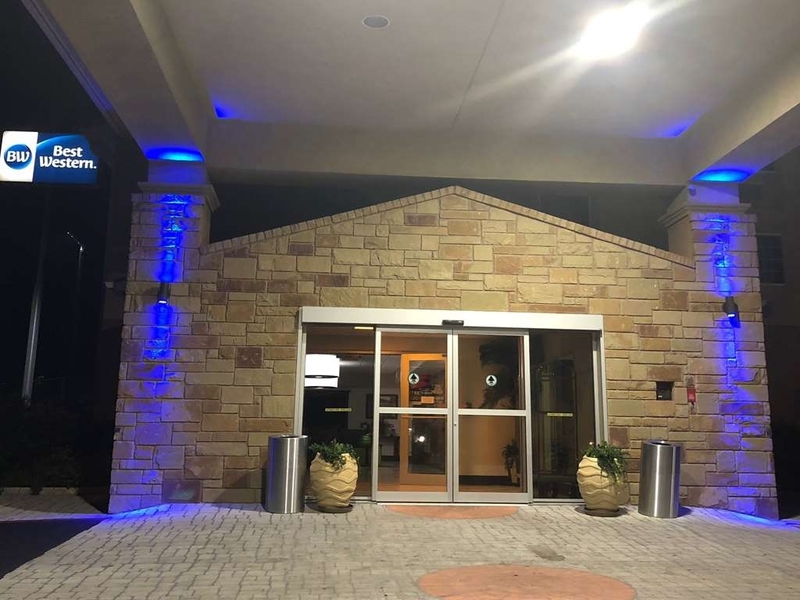 the Best Western in Harker heights is a great place to stay, my friends and family members from out of town insist they stay there, the rooms are nice , spacious, and clean and the staff is friendly, and always willing to go the extra mile to take care of you! Anna Lisa and Carmen will make your stay exceptional! Worry free stay. Be aware when using Hotel Quickly for they do not release your prepaid funds when reservation is made. But the hotel front desk can help correct that and make your stay enjoyable. Thank you so much for the 5-star review. Anna Lisa is definitely a jewel here and we are lucky to have found her. She is an asset to our crew and we would hate to lose her. I am glad that she and Carmen both ere able to resolve your issues with no problems. We stayed this past weekend at the Best Western in Harker Heights. The hotel was clean. The staff were friendly and inviting. The location was great. We swam in the pool and ate breakfast. The food was great. "Best stay of our trip"
We stayed in 3 hotels between Texas and Louisiana. This was the only Best Western. This was BY FAR our favorite. Very comfortable, extremely friendly and responsive staff. Everything was great, but the staff made it an exceptionally comfortable stay. Dear Duggm, Thank you for such kind words. We like to set ourselves apart from other hotels, by making our guests feel welcomed and invited.hope to see you on your next trip! Renee P.
"Gem tucked away from the road"
Nice property with easy access of the highway. Friendly staff that were attentive to guests and always ready to help. Clean and quiet rooms. 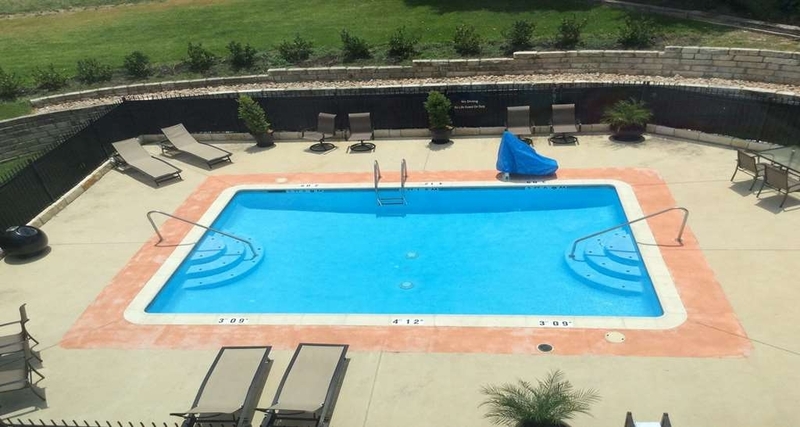 We did not use the pool or fitness center but both looked well maintained. Great amenities and facilities Staff extremely professional and helpful. Greatly impressed by the way we were received each time we were in need of anything. Will definitely be heading back to visit the area again and Best Western ov Harker Heights will be a part of our families itinerary. Dear Pastorbhowell, Our facility is equipped with the best hand picked staff that is very detail oriented.We take pride in how well they carry themselves in the utmost professional way possible at all times. Thank you for making it all worthwhile and letting us know that our efforts don't go unnoticed. Sincerely, Renee P.
"Great value and excellent customer service!" The staff at this hotel were friendly and always looking for ways to make my stay the best possible. The room was clean, comfortable, and the breakfast better than I anticipated. I had one minor problem with the door card reader which the staff immediately addressed. Thank you Maria for choosing to stay with us on multiple occasions. We enjoy having you as a guest! We look forward to seeing you again soon. Renee P.
The only decent hotel around. Daughter visiting friends close by while I get to leisurely shop and eat in and out within walking distance. Shopping centers right next door. Being close to highway I decided to take road trip north to Waco to visit Magnolia market and on way back bought Harley Davidson t shirts. So quaint and considering that it's close to all, the hotel was quiet!! Rene is an asset to this hotel. He was extremely helpful, cheerful and made us feel as though we were home. And the breakfast he and Joe provided was "just like mom's" Rooms were clean and in God condition. Would stay there again if ever in Harker Heights. Very welcoming front desk. I had the pleasure of working with the general manager and the manager. They could not have been any nicer. The room was nice and the bed was very comfortable. The breakfast had many choices. I loved the Texas shaped waffles. I have never had the need to use a hotel's business center but I did this trip and I was very impressed. Would definitely recommend. I was greeted with a warm smile from the moment i walked through the doors. First thing you notice is how clean the hotel is and the rooms are just the same. The bed was so comfy I slept like a baby and breakfast was plenty plus delicious. No one ever mention the housekeeping but they were wonderful. Helpful and pleasant. Some of the quest were kinda weird but overall my stay was perfect and close to my doctor appt and my children. Parking was very safe place to park your vechile. This was our second time staying there and I would stay again when we visit our kiddos again. Price of the stay was excellent. Thank you for staying with us. Our housekeeper's do an outstanding job each and every day. This is one big family here and we want everyone to feel welcomed. We hope to see you again. "Family trip to Harker Heights"
Amazing people! Great facility. From the time we approached the front desk until we left 3 days later we were constantly met with smiles, warmth and genuine friendliness. If the facility were not enough, the people were over-the-top! Dear Davidb2018, Thank you so much for choosing Best Western for your staycation, and thank you for taking the time to write a review of your stay with us! Impeccable attention to detail is something we strive for every single day, so to read a review like yours recognizing that is just wonderful, THANK YOU! I'm so pleased to hear that everyone made you feel welcomed and you enjoyed your stay with us We very much look forward to hosting you again the next time you are looking for a getaway come back to see us! Happy New Year! 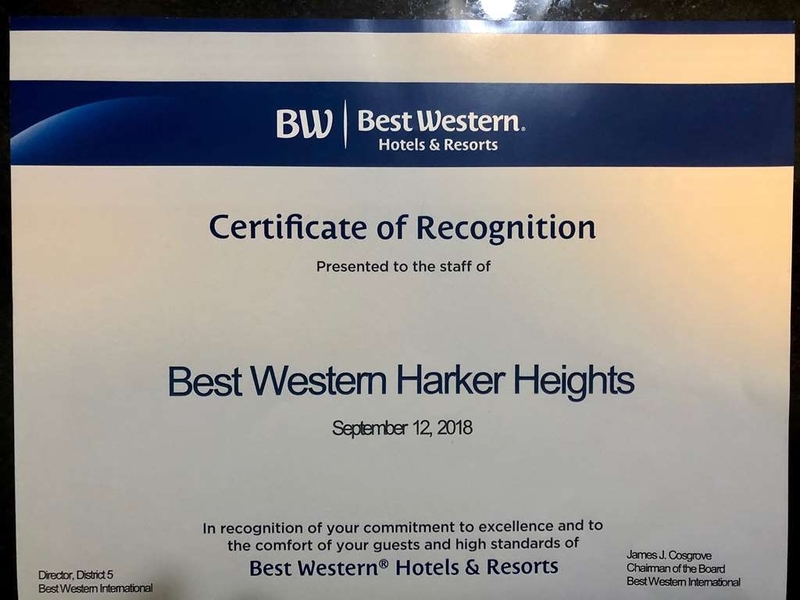 "Stay at Best Western, Harker Heights, Texas"
Always enjoy staying at this Best Western. Friendly staff and very helpful. Rooms very clean. Location is great because it near highway, grocery store across street, several fast food near by. Not far from good restraunts and shopping. Dear Linda, Thank you for taking the time to write us such a lovely review! We so pleased our location was so great that you were able to get out and do some exploring of our amazing restaurants and landmarks in and near Harker Heights. We hope to see you all return soon! Happy New Year! "Spotless, Beautifully Decorated, Lovely Staff"
This was by far the most pleasant stay I have ever had in a Hotel. The owner and staff were wonderful. They were pleasant, kind and helpful. The hotel was spotless, and beautifully decorated. The rooms were lovely and the bed comfortable. I was located near shopping and restaurants. It was quiet and handicap accessible. I will be using this hotel again for my personal use. I would recommend it to my family and friends. Thank you, K7718WJTINAF for the 5 star review! It is wonderful to know that you enjoyed staying with us and have now given your stamp of approval to our recent renovations. We're also pleased to hear that your service was efficient and memorable. We hope to see you all again soon for another staycation. Until then, be well! Happy New Year! I say surprisingly because the price was super cheap so I was taking a gamble even with the great ratings. I wasn't disappointed. Front desk was always friendly and serviceable. The place looks newly renovated. Comfy and updated rooms. Very good for value. Would stay again. Safe, very nice and clean with comfortable beds. A lot of people probably don't see it off the highway because its on a side street off Indian Trail. Do yourself a favor and find it, this picky wife recommends it. Dear Jeffnang, Thank you for the 5 star review! We are a hidden jewel in The Harker Heights-Killeen area. It's always a pleasure to hear the positive feedback from our guest. Come back to visit with us soon! From Best Western Staff to your family Happy Holidays! Dear Felicia, Thank you for the 5 star review! We are so delighted to hear you enjoyed your stay with us. We hope to see you return soon. From the staff at Best Western Happy Holidays! "Third time staying and we'll be back!" 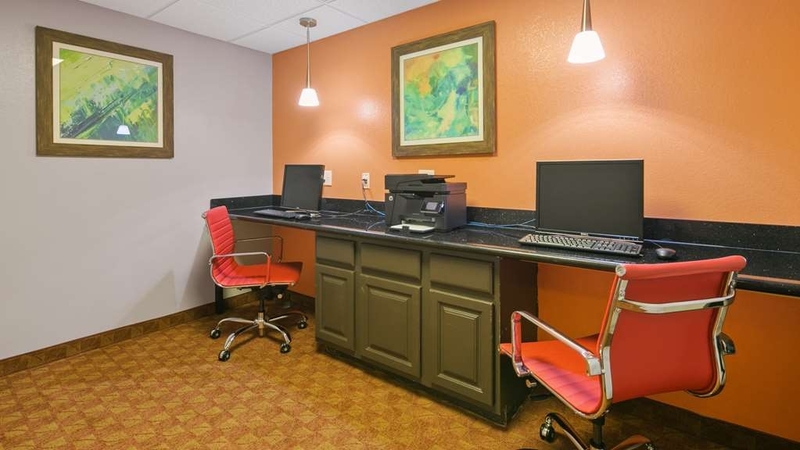 We really like everything about this Best Western. The location for us is close to family when in town. Very clean site, organized and attractive. All of the employees are friendly and helpful. There is a business room and a nice work-out room with working, nice equipment, TV, water available. I would highly recommend this hotel. I stay at this hotel every other month for a weekend. I always have a great experience. The staff is amazing. The rooms are clean. It has a cozy atmosphere. 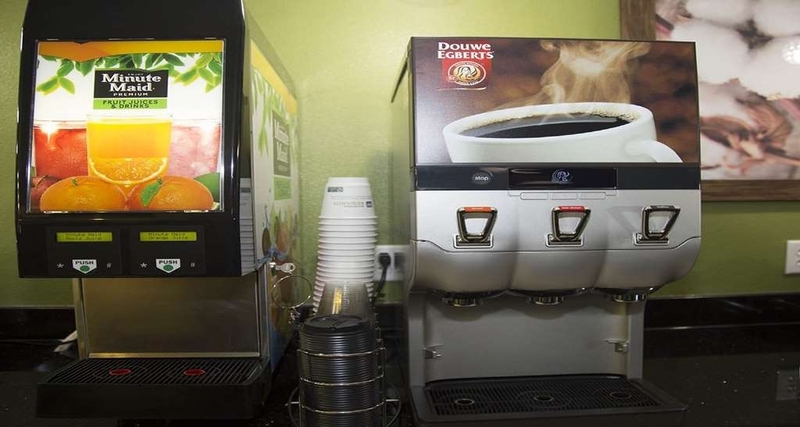 If your a coffee drinker, there is fresh coffee available 24 hours a day. Easy access to the hotel. Greeted by Rene, who was friendly and provided excellent customer service. Room was clean and quiet. This BW is close to ample shopping and restaurants. Complimentary breakfast and has an outdoor pool. Would(will) stay here again. Very good service from Staff, Clean and practical. Internet and computer services provided were great. Needed to scan documents and was able to accomplish all my tasks without a hitch. Was able to take care of my work, exercise and leisure all in one place, very convenient. We liked this hotel very much. It was pretty and very clean. The room was perfect, we enjoyed the breakfast.The location is very good for visiting friends and family in that area of Texas. I think anyone would enjoy a stay at this great hotel. We were traveling from Arlington to Dallas and decided to stay here. We made our reservation in the car and confirmed as we pulled into the parking lot. When we walked in we were greeted warmly be Rene. Despite the last second reservation he was able to sort everything out with a pleasant and patient demeanor. He was here the next morning with a smile and made sure we knew about the complimentary breakfast. Oh, and the rooms were clean and comfortable too. We will surely stay here the next time we are in the area. I found the hotel to be very clean and welcoming. Everyone made my visit enjoyable The room was clean, the bed was comfortable. The swimming pool was inviting and clean. I look forward to staying here again in the future. This hotel has a great convenient location. There is a large breakfast selection, which I really enjoyed. The staff overall was helpful, but Carmen went above and beyond to make sure that my stay was great. I really appreciated the easy checkout process and plan to stay again in the future. Overall, I would recommend this hotel to friends and family if we were to ever be in the area again. The staff was friendly and accommodating. The beds and pillows were so comfortable. The infusion water was a treat. Central location with easy access to highway. Enjoyed our stay and would recommend this hotel to family and friends. "Excellent service award goes to Carmen"
This is a great new hotel. Huge selection for breakfast and the rooms are worth the price. Perfect location with everything so close and near. The out door pool was great to relax and enjoy the summer night. I stayed at this property July 10, 2017 room 204 (I think). Check in went well, plenty of restaurants and a large HEB grocery close. My room was quiet with micro/fridge. Parking was plentiful. 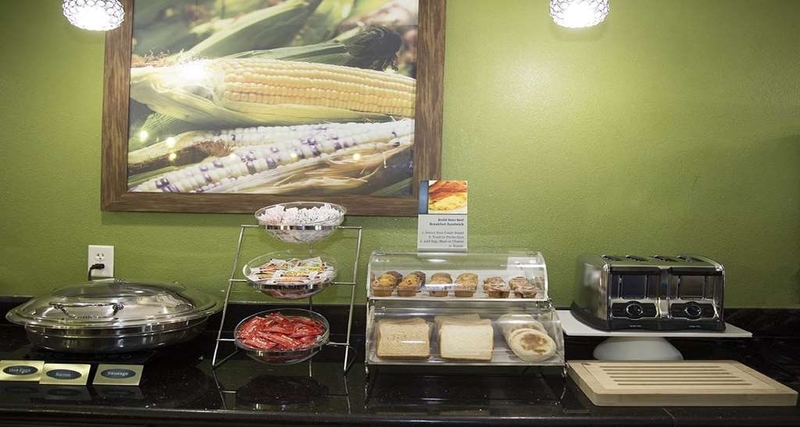 Basic continental breakfast buffet. I would stay here again. the hotel was very clean, brekfest was great, and staff was very profecional , from check in to check out. We were there for a convention and we are already making plans to stay at the same hotel for next year, we are aware that there is more options but we were imprese by teh esperience and we want to stay again nest year. 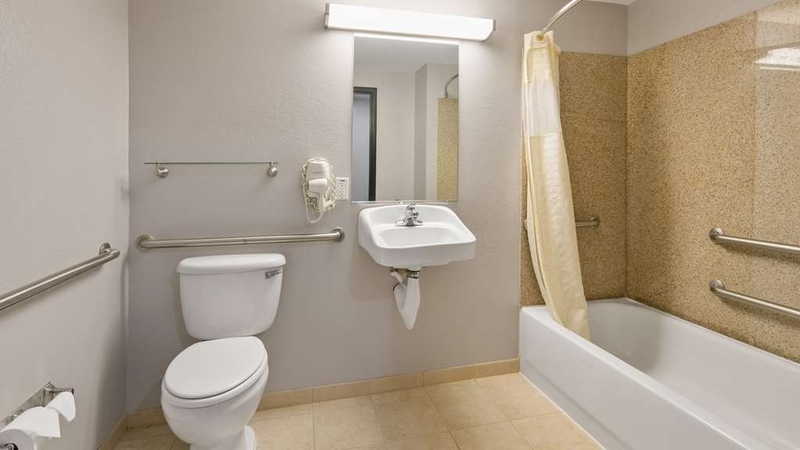 "clean and freindely lace convenient to Temple, Belton, Kileen Texas"
The hotel is recently renovated all over and you can see they care. The lounge and dining areas are gorgeous and the rooms are very well done. Everything is clean. The real star here is the management. They were great and treated us like family. "If you can get past the chlorine smell..."
I had a 1 night stay and this was the top rated place in the city. That was a surprise, but it's Harker Heights after all. Reasonably clean - the duster at the bottom of the bed was NOT, so I made sure I didn't touch that. I was on the first floor in room 115 and the smell of Chlorine was STRONG... I don't think that anyone or anything can remain alive after a dip in the pool if the smell from my room in any indication. I spoke with the marketing manager who promptly gave me 40% off my night and told me to contact her if I'm in the area again for special pricing. The bed was pretty comfortable and I slept well after my television was reset by the front desk person. Breakfast was decent and the friendliness of the staff made this an ok stay. I would definitely want to smell my room before another visit, but I would give it another try. This is a beautiful hotel! Customer service was a 20 on a scale of 1-10!!!!!! I have stayed at many hotels across the country this was by far the best! Clean, new, great breakfast! 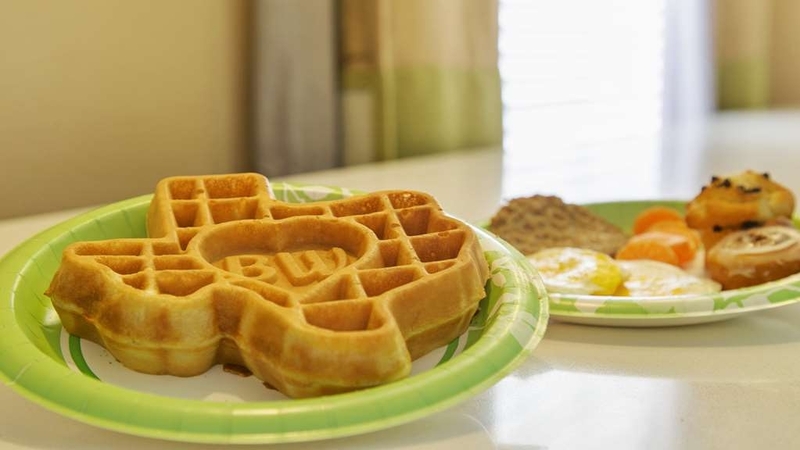 I loved the shape of the waffles in the state of Texas and the initials BW on them! We enjoyed our stay at Harker Heights. The room was very clean, neat and quite. The staff was very attentive to our needs on check-in and check-out. The breakfast was outstanding. The lobby made a great first impression as we entered the hotel. If we are ever in the area again, we will stay at this hotel again. If considering staying here I would recommend asking for Carmen. Great attitude and personality. The Hotel was right off the highway and near a lot of great food establishments. Breakfast buffet was great. This is a great place to stay if you are in the Harker Heights area. The hotel staff is very helpful, accommodating, friendly and pleasant to deal with. The breakfast was great every morning, the rooms are clean and comfortable. 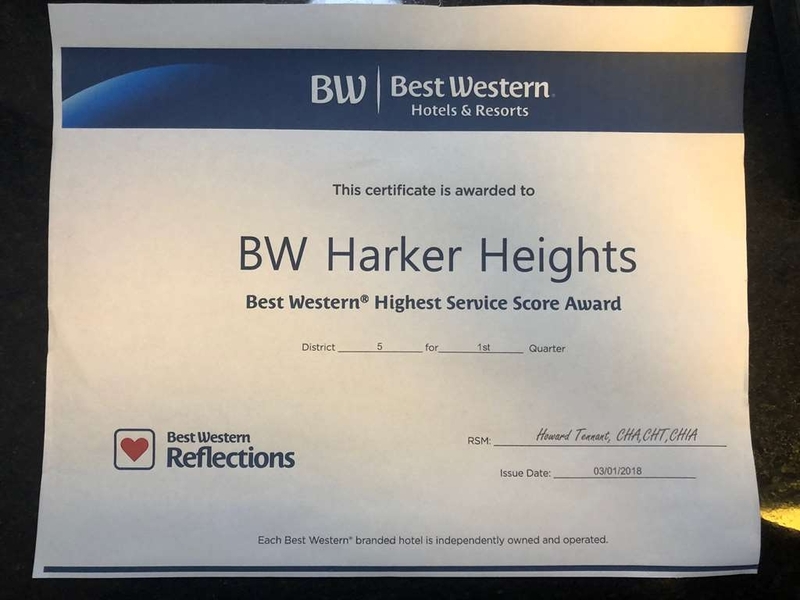 "Nice clean hotel friendly staff"
"Clean, Quiet and Wonderful Staff"
We can always count on our stay at Best Western Harker Heights to be the restful, clean and quite place to be with friendly staff to help make your stay great. A great morning breakfast and coffee to start you day every time. "BW is a Great place to stop!" Quality of staff and comfort of the rooms are superb and the full breakfast is great! This Best Western has delivered on the promise of providing quality customer care and dedicated service to Best Western guests! I was very pleasantly suprised. I normally stay at a different brand hotel on my routine trips to Killeen. I was forced to book with BW in Harker Heights due to lack of availability at the other hotel. Upon arrival i noted that the hotel is easy to get to with easy access on and off the freeway. There is ample parking, abeit only one way in or out. The outside of the building is unremarkable with minimal landscaping. The real suprise came when i walked inside. The hotel is bright, clean and inviting. The entire interior of the hotel has a european feel to it, I have stayed at many hotels of all kinds and price ranges and this one felt like many much more expensive hotels in europe. The common areas are immaculately clean. The room is bright and shares the euro style. The furnishings were comfortable and the bed was exceptional. The staff was very polite and professional as well as cheerful. This is a clean hotel. Decent price. Friendly people. I had to leave before breakfast so I didn't get that experience. Didn't have time to work out but nice exercise room and pool area. Would stay there again. We had a clean and comfortable room. The staff was friendly and attentive. The breakfast had good options too. We noticed the juice machine was but working correctly so we informed the staff. Within a matter of minutes, someone was there to work on it. I would definitely stay here again. We loved the hotel and the location. Breakfast was so amazing. Carmen made us breakfast and too the time to greet everyone and tending to the front desk too. She has excellent multitasking skills. Location is perfect. Everything is close and easy access to the highway. "Very Nice, Comfortable and Renovated"
Great place for the price. Carmen and hotel staff were excellent. Hotel was very clean, smelled good and well taken care of. Hotel was near restaurants and fast-food, stores grocery and movie theater. Also, immediate freeway access. "Beds Way To Hard and Dangerous"
The beds are way to hard. They also have platform beds in the rooms and they slip off the platform when you try to get on them. I almost fell off due to that. Also, air conditioning did not stay on most of the time. It was hot while trying to sleep. Stayed one night. Great firm bed, good micro and fridge. Good channel selection on LG television. Good water pressure in shower, which is always a plus. Very nice staff. Okay area, fast food and other nearby. I'd stay here again if I pass this way. For the last five years or more this has been the perfect place for me. I have even brought friends to this hotel and they love it too. This hotel is close to where I had to attend business meetings. This hotel is close to eating places, shopping places...it's just a great place convenient for driving. "Rating BW from a wknd trip"
Glad to stay at a newly opened BW in Harker Heights during a holiday weekend. Everyone was very nice and helpful. Breakfast was very organized and fresh. The cookies daily were fresh and yummie. Hotel was n a good location and very close to eating places and the highway. "Solid hotel for business travel"
I am most pleased as I go into my 3rd week here in Harker Heights. Very good staff and helpful in every way. Carmen is a delight to work with. Rooms are nice and spacey, shower has enough hot water and internet is better than average at this price range. Free Breakfast is good but about the same every day. I do wish they would add sugar free syrup for diabetics. Location great as it is 3 minutes from expressway and has a grocery store just across the street. Some fast food joints nearby as well. Best Western has certainly improved on the previous ownership. They have Direct TV but no mlb or nhl channels, but they do get NFL network. Decent size TV. Have a refrigerator and a microwave in the room. Only reason I did not give a 5 is that the hotel is designed to serve the budget or business folks on the road. We enjoyed our stay and the staff was pleasant and very helpful. Breakfast was always hot and very good. The hotel is clean and the beds are fantastic.. We would go back and stay again..Check in was easy and we were late getting there but they didn't mind. We got our room and we were asked if we needed anything before we retired. 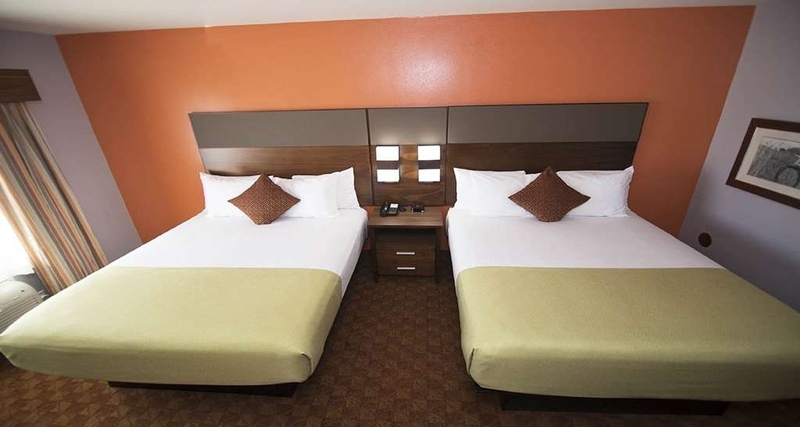 "The Best, Best Western I have ever been too!!!" This is the Best Best Western I have ever been. The Staff was extremely nice, the Hotel was clean, updated with a modern look from the entry to the rooms. We had microwaves and refrigerators in our rooms, our beds were comfortable. We stayed on the 1st floor, and it was quiet. The location was perfect! We were minutes from the malls and all of the restaurants, and literally 15 minutes from a water park we enjoyed while we were there. We will be back there every time we come to Killeen, Texas. 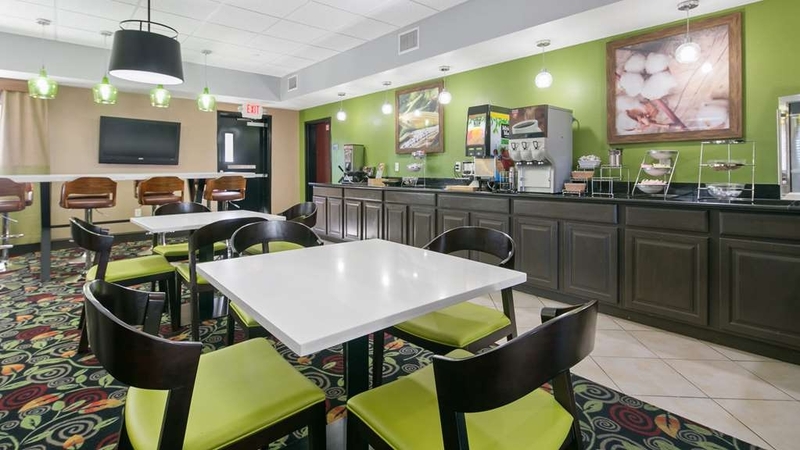 "pretty good compare to some in the area"
some of the other we looked at didn't appear to be in as nice shape for the price, the lady in the breakfast area was very nice and she has a welcoming attitude and it really nice in a large area. pool was nice and clean. Hello Travism817, We appreciate you taking the time to share your hotel experience feedback on TripAdvisor. We are delighted that you had a great stay and enjoyed our pool. Our team is passionate about providing exceptional service. We hope to welcome you back soon. Thank you, again! Very friendly Crew and rooms very very clean and nice, Breakfast was good hot fresh made cookies was offered to us when we checked in, Over all very good stay here at Harker Heights. I will be back and besure to stay here. Dear Joanna, Thank you for the review! 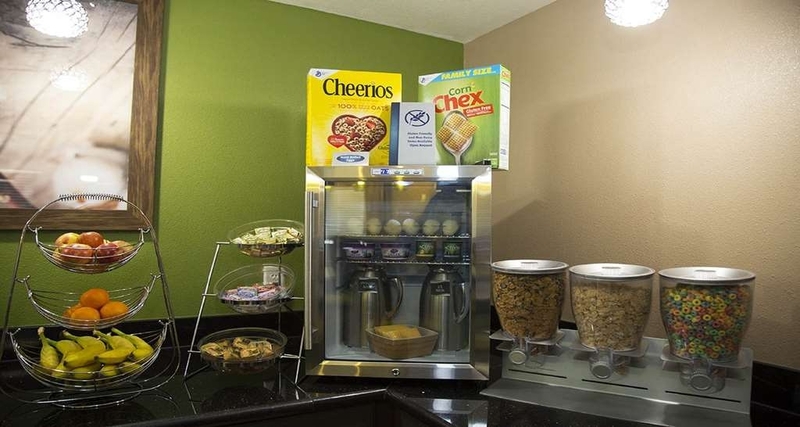 It's the sweet surprises that Best Western Harker Heights offers, that make for a unique experiences. 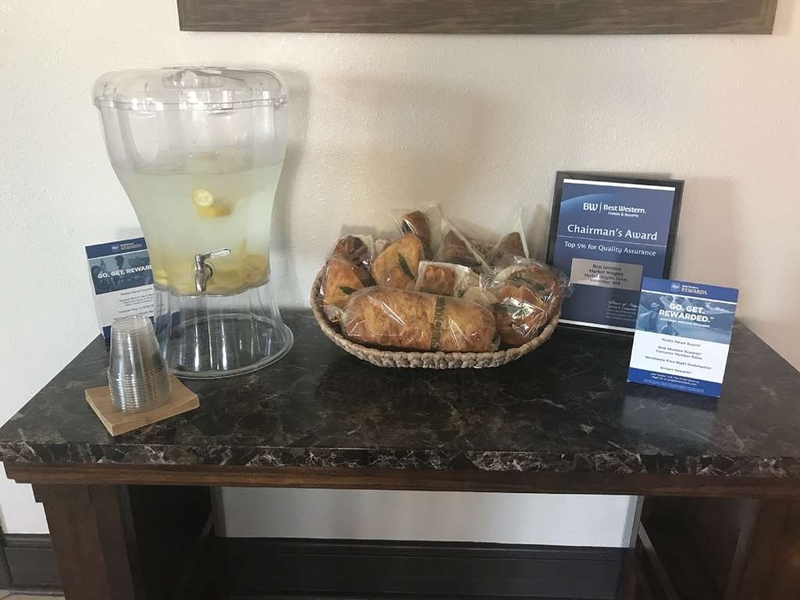 The cookies and infused water in the lobby daily always helps you stay cool in the hot summer days. Please make sure to touch base the next time you are in town. Safe travels! The staff are friendly, Patricia the receptionist was always helpful the whole week we stayed. 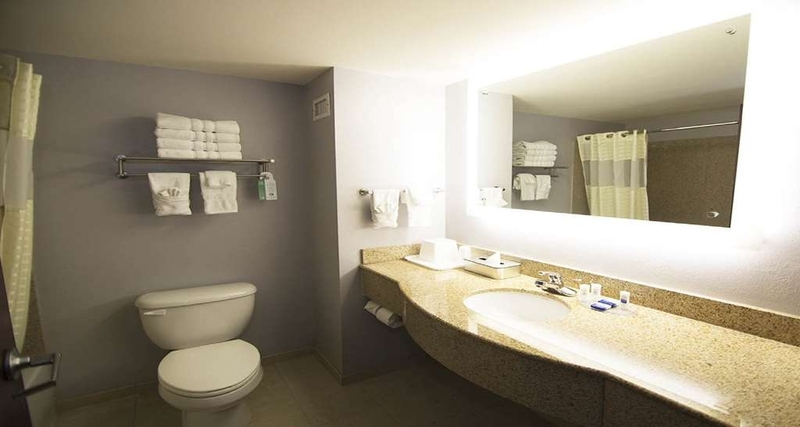 Another plus is that the rooms are clean and they provide you with anything else you might need. My kids loved the cookie station and breakfast was great! The pool and laundry room are a plus. It's also close to restaurants and shopping. Dear Familyofsix06, We truly appreciate you choosing Best Western Harker Heights. Our hotel staff are passionate about providing exceptional service for all our guests. Thank you, again, for your feedback and we look forward to having the opportunity to serve you and your family again. See Carmen she is extremely sweet and very helpful. We had many questions about the area and she went above and beyond on letting us know what the local favorite places to eat and go visit. The new breakfast employee also was very sweet overall that's what made our stay so enjoyable. This is a GREAT hotel! Thank you to the staff at Best Western for a memorable stay. Hello Careiel20009, Thank you very much for taking the time to share your feedback on TripAdvisor. It was a wonderful experience getting to know you and your family while you were in town. I will pass your kinds words to our staff. If you are ever back in the area call me and I will make sure your taken care of. Safe travels and hope to see you soon! Comfortable bed!!! Clean, and new. Would stay again if we are ever in the area. Friendly staff willing to help. Location convenient to good dining, hoping and Fort Hood. I don't know what else to write this is really ridiculous, must be minimum of 200 characters, just trying to fill space now. Dear Jeffrey, Thank you for your review on TripAdvisor. We are thrilled to see that we have exceeded your expectations! I am happy that you felt the staff was attentive. Our team is passionate about providing exceptional customer service. We hope to welcome you back soon. Thank you again! "Sold house no place to stay"
Overall this hotel is excellent. I can only remark on a couple of things they can improve upon. The breakfasts need more variety. The gym needs to be monitored more frequently to ensure the equipment is clean and working and the a/c is on and properly regulated. We stayed at this hotel when moving to the area. The hotel appeared to be newly remodelled and was VERY clean. The color choice and style was very modern. The room was comfortable but the mattress constantly slid on the new platform. Hopefully this gets addressed soon because it was the ONLY negative during our stay...more annoying than anything else. The pool was perfect for smaller kids. The breakfast was adequate but not amazing. "THIS is where you want to stay in Heights"
I was so pleased to find this hotel in Heights. We were in town for a night to visit friends. We lived here 5 years and never knew it was there! This is a great place to go if you have family. The pool is nice but not too deep. The rooms are very nice and the beds are comfortable. The staff was very helpful and they even put out chocolate chip cookies in the afternoon. Yes, you will find some people who look like they may live there...because they do. They are military families waiting on housing- its the norm in the area. Karmen front desk lady was they only good experience we had while we were there. The cleaning lady on 3rd floor was rude. If you want to listen to loud rap music and an bad attitude go here. Hotel is nice but some of staff is not. Staff was friendly at both check in and checkout and were very helpful. Room was clean and nicely updated. They had 2 USB ports next to the bed which helped with charging our phones. Bathroom had plenty of towels which was nice. I had zero problems with my stay. I booked this hotels based on the hotel's website that it was new and had pillow top mattresses. I found out later that the hotel is not new but under new ownership and all rooms had new mattresses. Did not sleep well. The breakfast was the usual continental style which kids usually enjoy. Dear Taressa, Thank you for your response. We value our guests and appreciate your comments. We have just converted to a Best Western as of April 2016. With the renovation of the hotel and remolding along with all new furniture I am sorry to hear you didn't sleep well while you were here. We hope that you will stay with us again in the future. If there is anything we can do to further assist you please don't hesitate to contact me at any time! We look forward to serving you the next time you are in the Harker Heights/Ft. Hood area! The greatest thing about this hotel is the location. You can't beat it because you are so close to everything. I slept well in the king size bed, and I enjoyed the exercise room. I would stay at this location again because the hotel staff were wonderful. "'s. Carmen Knight rises above all the staff"
Miscommunication from staff had me upset through the whole stay. However they did comp my room for a night. The best staff member there and the nicest one of all of them was there Director of Carmen Knight. This was far the best hotel in harker heights, this was the best experienced. 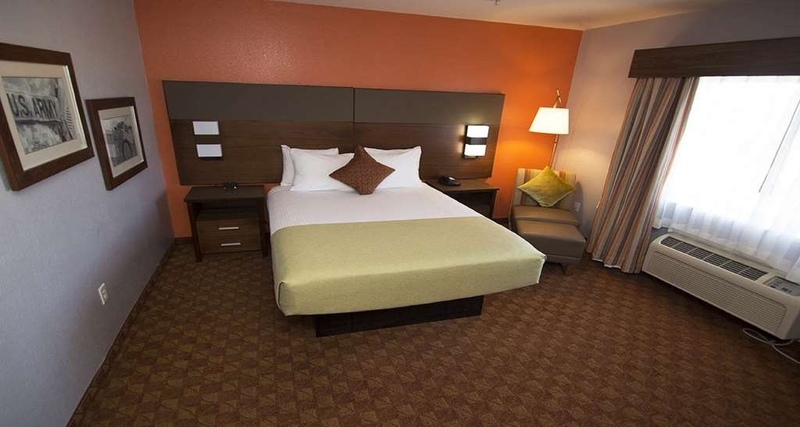 The staff was very friendly, and very helpful, the rooms were very comfortable and cozy. Inside of the room they many amenities like a microwave, refrigerator, hairdryer and other things. This place is recommended to everyone. The staff was very nice, clean rooms, gym with nice equipment and space to do other activities, fast computers in the business room. By far the best in many categories. Will stay again everytime we visit the area. Upon arriving into town early I stopped by the hotel to see if I could check in early and Carmen was extremely friendly and was able to get me into a room. When I went upstairs to the room I wasn't very pleased with the appearance of the room and asked to be moved downstairs. She apologized and quickly asked me all the right questions and assured me that their rooms would suit all my needs. If it wasn't for her I would of left and not come back. She has excellent communication skills and was able to me make me a returning customer. I look forward to the name change to Best Western. Kudos to Carmen!! "The best Motel in Killeen Texas." Me and my family were in Killeen Texas for my Grandfathers funeral. My Aunt advised us if we weren't going to stay at the family house that we should make a reservation to stay at the American Best Value Inn. And I have to say I really enjoyed my stay there the staff was great and they catered to our every needs. I felt very welcomed and comfortable there. The rooms were nice and the maids were hardworking. 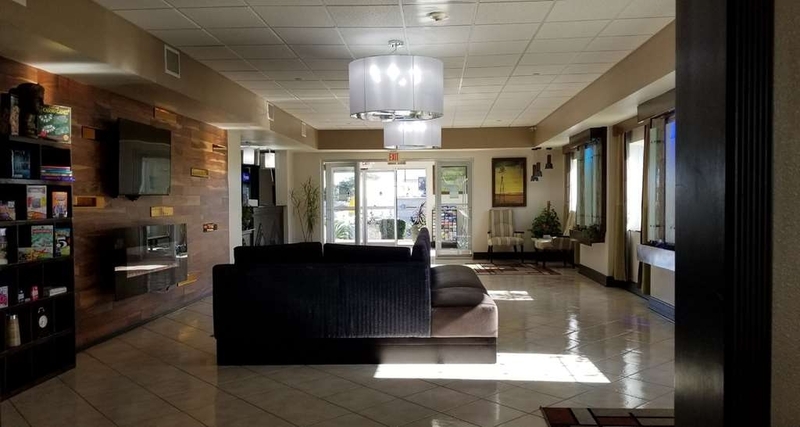 If anyone is passing through Killeen Texas and needs place to stay I would advise them to make a reservation to stay at Americas Best Value Inn in Harker heights. Heck if I'm ever in Killeen again I know where I am staying. Aloha and mahalo nui loa Carmen and the rest of the staff at Americas Best Value Inn for looking after me and my family very much appreciated. Titus Manu Matautia from Waianae Hawaii. I was very impressed about how clean and modern the room was! Carmen was great! She said if we had any problems or needed anything to let her know and it would be taken care of. If we are back in the area will definitely stay there again. "Overall good place to stay"
Rooms were better than I expected! Price was good! Would stay here again! The owners were out of town and we had a extra large group and the service was excellent , everyone seemed look good together to help everyone and make sure everyone was taken care of! The lady at the front desk needs a raise! She was very good and ready to help!